THE ASIAN steam cracker business has struggled to pass on higher oil prices as the above chart further underlines. As you can see, high-density polyethylene (LLDPE) injection grade spreads including selected co-products have slipped over the last few months. Spreads are a rough but still useful measure of profitability, and so tell us where industry earnings have been and might be heading. 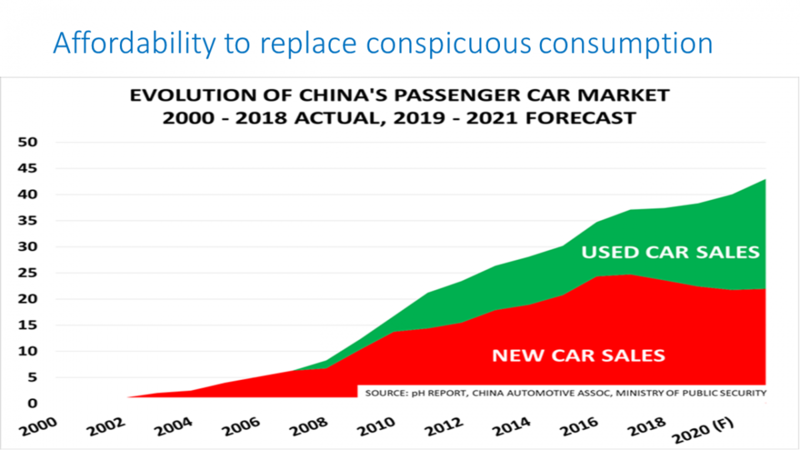 Just a reminder of the methodology here – and thus the value of crunching our ICIS Pricing data – before I examine the numbers behind this chart. It takes 3.33 tonnes of naphtha to make one tonne of ethylene which makes close to one tonne of HDPE. 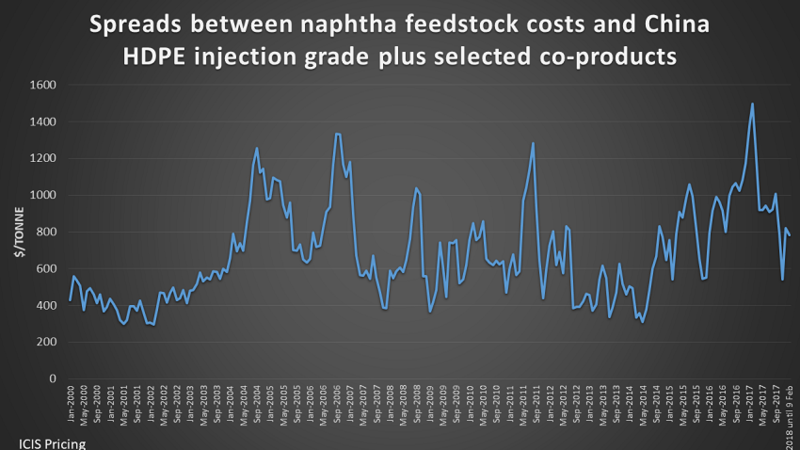 To get an approximation of integrated spreads you then need to minus-off co-product credits from the 3.33 naphtha cost per tonne of a tonne ethylene/HDPE production. Here I’ve included just propylene, C4 olefins and aromatics co-products (every 3.33 tonnes of naphtha also makes around 0.52 tonnes of propylene, 0.33 tonnes of C4 olefins – here I just use butadiene – and 0.75 tonnes of aromatics). What the chart is telling us is that integrated HDPE spreads reached no less than $1,499/tonne in February 2017 – the highest of any month since 2000. Since the oil price run-up began in July, spreads have fallen. From January to June 2017 spreads averaged $1,155/tonne. But from July 2017 until 9 February this year, the average has been $840/tonne. So far in 2018, again up until 9 February, the average has been $785/tonne. Any industry-wide improvement in spreads from lower oil prices won’t happen at Asian cracker operators that have overcommitted themselves by buying big volumes of naphtha ahead of their immediate needs. This tactic will have been in response to the misplaced belief that crude prices – and so, of course, naphtha costs – would continue to rise. Now, though, crude has fallen some 10% during the first two weeks of February. And I believe that, barring geopolitics, Brent prices have every chance of falling to the mid-$50/bbl range in March and to around $50/bbl in April. Brent may end the year at below $40/bbl. 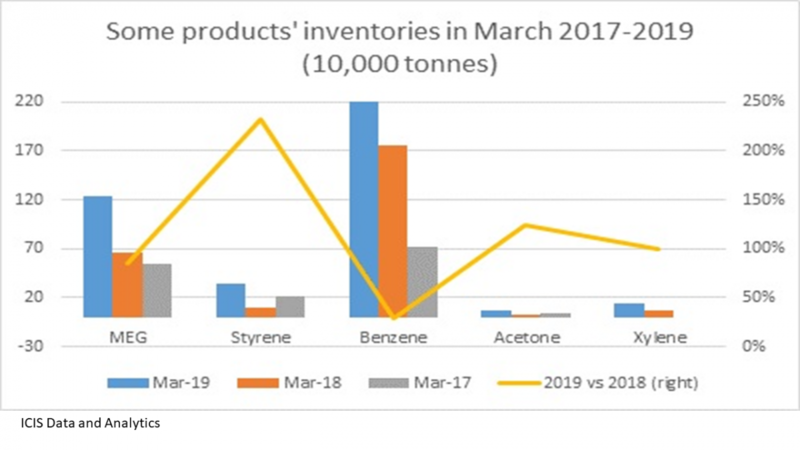 I believe we are already in the midst of a destocking phase that has a good chance of driving petrochemicals pricing lower over the next few weeks, possibly months. We saw early signs of this in the week ending 9 February when weaker crude led to sharp falls in benzene, toluene and xylenes prices. 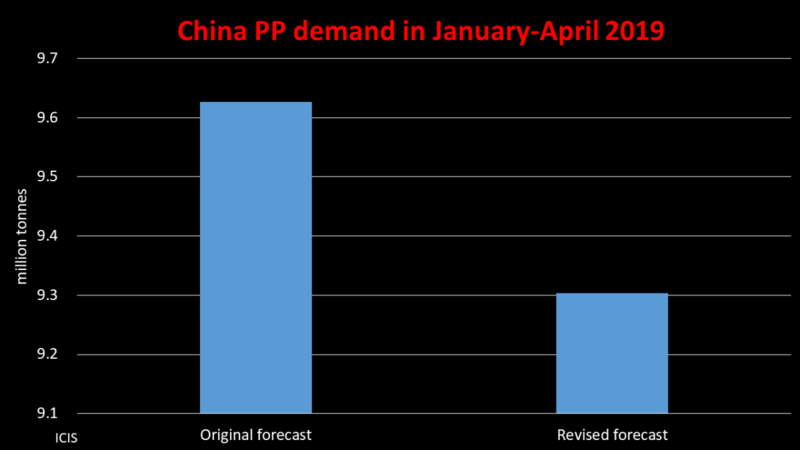 Northeast Asian benzene prices were for example down by $60/tonne compared with the previous week. Aromatics prices are always the first to respond to lower or higher crude. 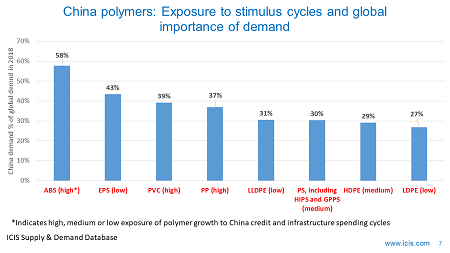 PE and polypropylene prices, which are further downstream from oil, could be the next to fall. The recent volatility in oil and equity markets as points to fundamental, long term weaknesses in the global economy. I have never bought the theory that we are in the midst of a synchronised global economic recovery which will continue throughout 2018. Data from the US-based Economic Cycle Research Institute (ECRI) suggest a slowdown is already underway. It has a track record of accurately predicting the timing of global recoveries and recessions. The ECRI, which analyses economic growth, inflation, employment and trade data etc., believes that the peak of the acceleration in global growth was in March last year. Leading indicators, such as a sharp fall in South Korean exports in Q4, suggest a deceleration, says the research organisation. Will be this be a mild deceleration or something worse? The risk of something worse rests on the response of western central banks to inflation. 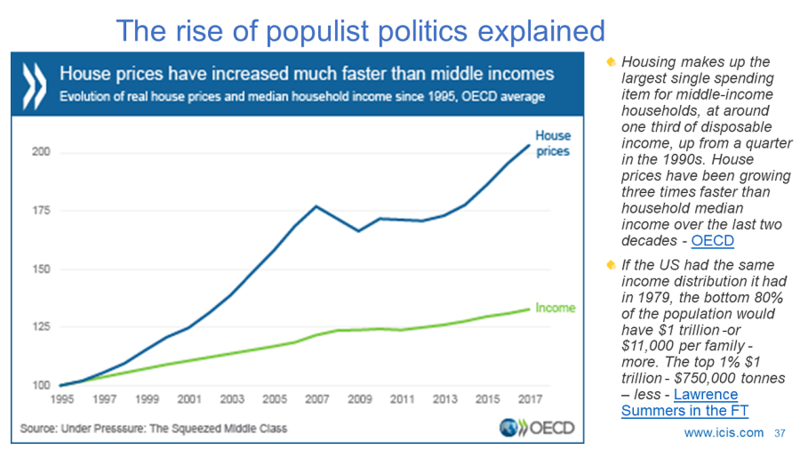 If they too aggressively raise interest rates, in the mistaken belief that the global economy is healthy enough to withstand such higher rates, we could be in a lot of trouble. 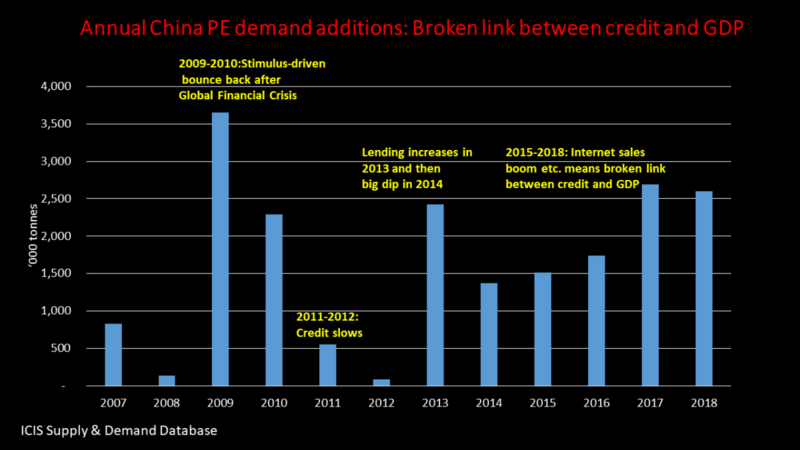 And for the Asian PE business, another challenge in 2018 is the impact of recent US PE start-ups. US HDPE exports will rise by 39% in 2018 over 2017 to 1.1m tonnes, according to the ICIS Supply & Demand Database. 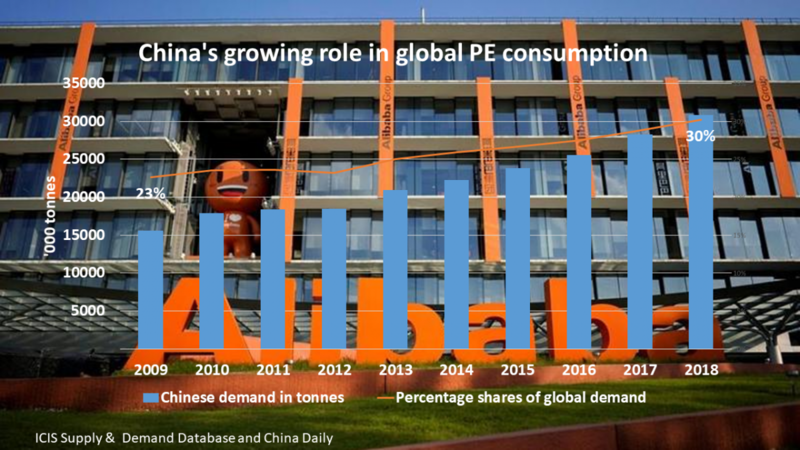 Linear-low density PE exports will be up by no less than 311% at 1m tonnes. As I said, the Asian cracker operators which will be most exposed over the next few months will be those that have overbought naphtha. 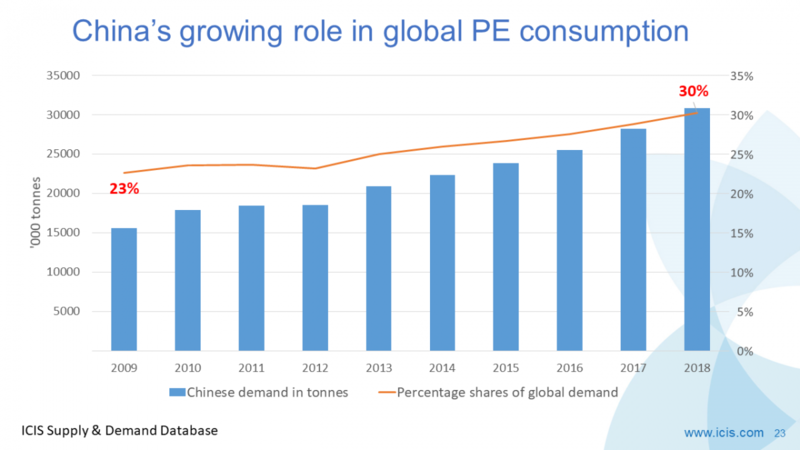 The industry in general faces the longer term threat of lower global economic growth – including moderately lower growth in China – and more competition in Asian markets from new US PE supply. In May 2014, they were at just $311/tonne – their lowest monthly level since 2000. The year 2014 as a whole saw spreads at an average of $527/tonne. This was the lowest of any year since 2000 except 2000 itself, when spreads were at $465/tonne. But Asian steam cracker operators should prepare for spreads that may test these historic lows.